Workout on the SUP – Combines fitness exercises from pilates and stretching. An effective training for the building coordination and strengthening muscles. 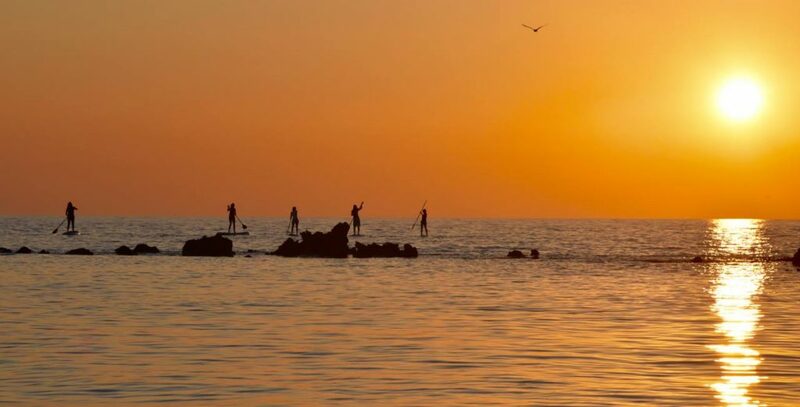 SUP Tour – Together with Kite Club Corfu, we regularly offer SUP tours along the coast and to the offshore island of LaGoudia.